I am in the process of adding to the “Blogs I Follow”, and trying to go over at least the “Pencil” section of each blog as I add them. A very old-fashioned attitude of do-I-know-you that doesn’t help in this time and age, I know, but in the process I was able to discover one of Sean’s old posts at Contrapuntalism. The item looked vaguely familiar. So I dug mine up from this plastic box where I keep all the flotsam and jetsam of my stationery life. Here it is. 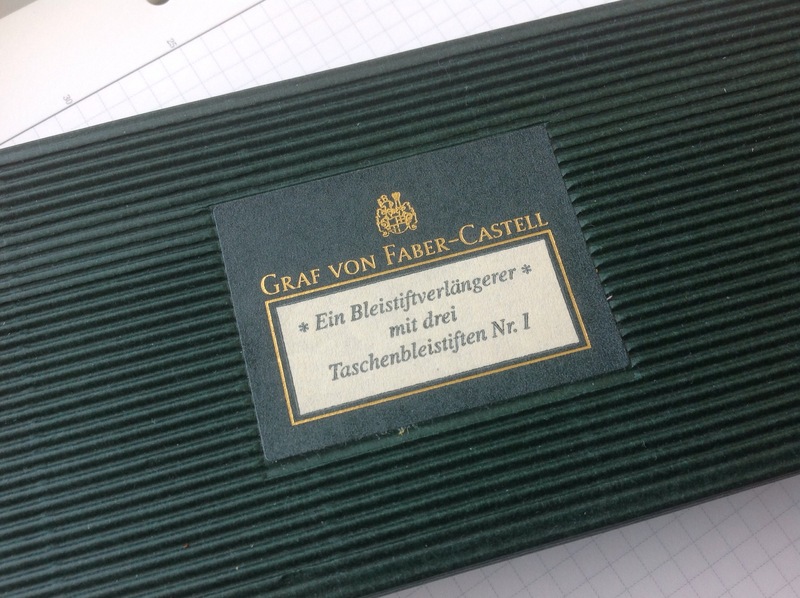 I have this because there was a period in my life (circa 2002) when I went slightly crazy over Graf von Faber-Castell products (there is no other way to put it), and bought into their aesthetic lock, stock and barrel. I was travelling through Europe that year, and I remember staring openmouthed at the glittering displays of their fountain pen that had three diamonds embedded in the cap. I bought the extender. I bought the silver sharpener. I even owned their Classic Pernambuco fountain pen at one point. And then the mania cooled, and my great romance with The House of Faber-Castell ended, although it was briefly rekindled when I purchased a couple of their newly released inks last year. 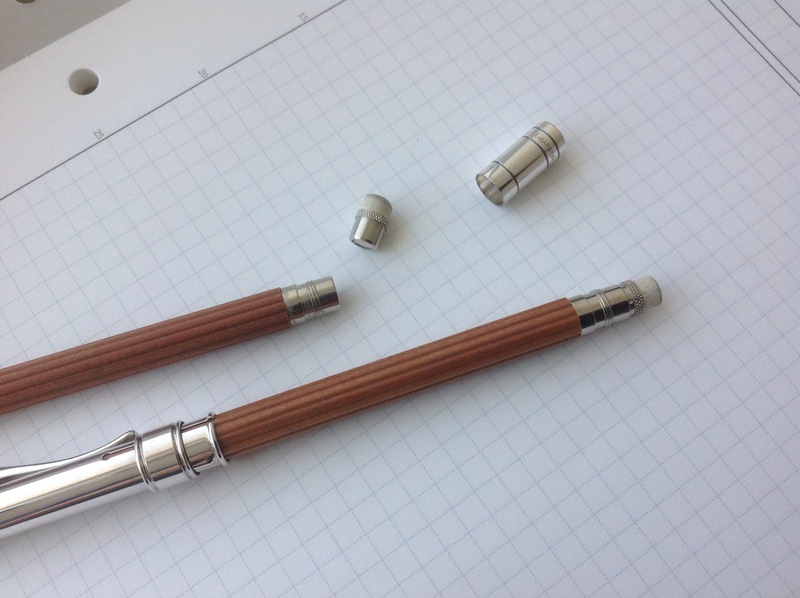 Regarding this particular product, I actually regretted buying it, because as I remember the Perfect Pencil became available soon afterwards (or maybe it was there already but I noticed it too late) and I felt I could have had a sharpening mechanism along with a surface that didn’t need as much maintenance as this one instead. This was silver, and it tarnished. I soon got tired of polishing it. What bugged me more was that whenever I polished it, and whenever I moved that silver band up and down, it left minute scratch marks on the pristine surface. So I polished it one last time and then wrapped the extender in clingfilm, and banished it down the depths of my plastic box for more than ten years. 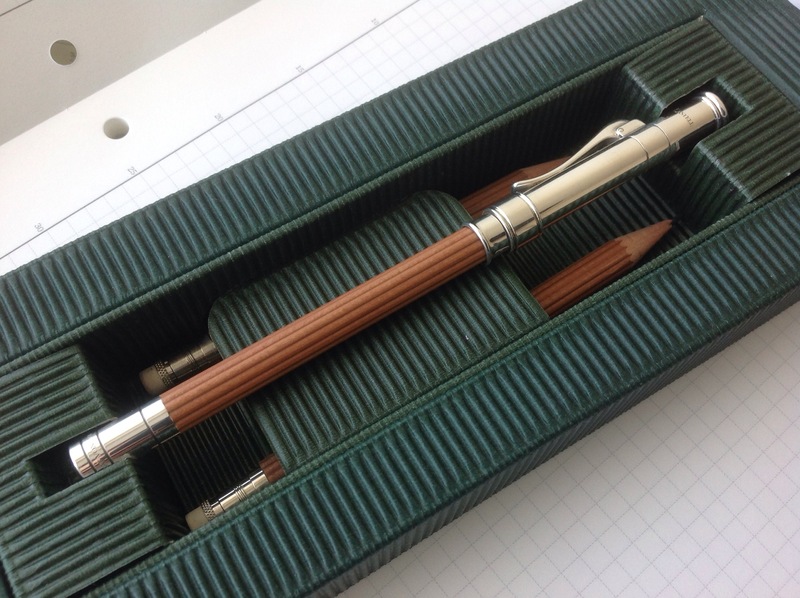 Anyway, so after all these years, I took out my Bleistiftverlängerer and polished it lovingly. I think I will keep it on my desk for a while. Thank you, Sean.